Local parish Councillor William Waite, himself a shop worker, commented: "The day was very successful in raising awareness of how badly shop workers suffer from abuse. Every minute of every day, another shop worker is abused. Many people said they had not realised how bad a problem this is. We also raised awareness of the effect of police budget cuts on this problem. Thanks to local businesses for supporting us." Many South Oxhey residents work in the retail sector, perhaps in Watford, Harrow or other nearby shopping centres. They are increasingly subjected to verbal abuse and even violence from a small but hurtful minority of the public. It's not acceptable and unfortunately, cuts in policing are making the situation worse. 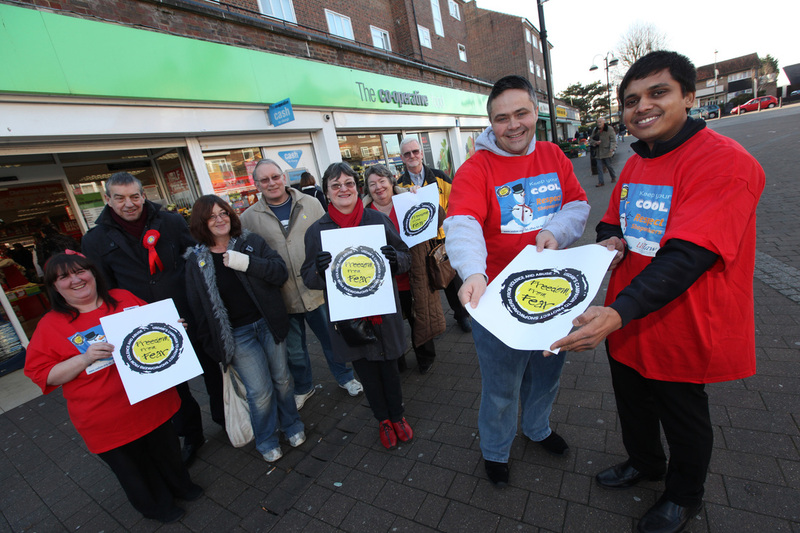 In the run-up to Christmas, the shopworkers' union, USDAW, organised a Respect for Shopworkers week, as part of a general Freedom from Fear campaign. Local parish councillor William Waite - himself a shop worker - organised a petition, with the help of the Co-operative store, in whose premises the event took place. 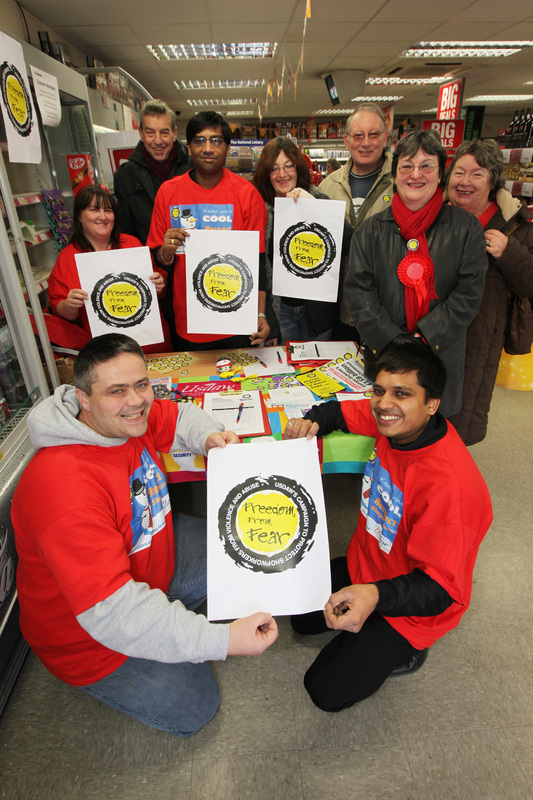 Other local shops also supported the event, putting up posters and offering support. The petition demanded a halt to police cuts, which are exposing shop workers to increasing levels of abuse. Over 300 signatures were collected. Most of the petitioners were not themselves shop workers, but agreed that abuse of shop workers is totally out of order. Many South Oxhey residents commented that they had not realised how prevalent the problem was, or how upsetting it was for the workers involved. The event was attended by local Three Rivers Councillor Len Tippen, and Parish Councillors Joan King and Pam King.